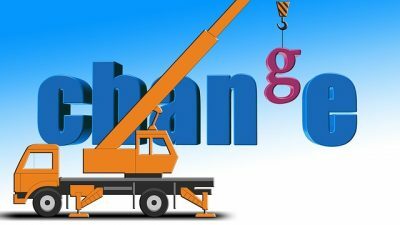 You’ve likely heard the term “change management” hundreds of times, used in many different of scenarios. It is a common term used by leadership and management teams, as well among project and IT teams, when navigating any type of change. There are countless theories on how to best manage change and how to lead effectively in times of change, all of which are jam-packed with jargon. Truth is, you don’t need any of the fancy words or theories in order to follow some best practices for change management. Chances are, you are already implementing some of these recognized best practices – you might just use different words. Let’s start with the basics. What is this “change management” thing anyway? Change management is an approach or strategy for moving organizations (and stakeholders of the organization) from a current or baseline state (sometimes referred to as the as-is state) to a desired future or to-be state. The goal of a change management process is to get to the desired “to-be” state in an organized manner and cause the least stress, resistance, and disruption to normal business processes and/or stakeholders as possible. Change management can be applied to almost any change in the organizational sphere – from moving offices to changing leadership. If you’re reading this blog, chances are you have changed, or are planning to change, your CRM. Having a solid change management strategy in place is critical for the success of your implementation. Let’s continue decoding the change management jargon to learn more about best practices. As-is State – This is the current situation in the organization, i.e. the pre-change people, processes, technology, structure, strategy, culture, etc. To-be state – This is the desired future situation in the organization, i.e. the pre-change people, processes, technology, structure, strategy, culture, etc. Stakeholder: A stakeholder is anyone who is involved in or is impacted by the as-is or to-be state. Stakeholders for your CRM change include staff, donors, volunteers, and third party vendors. Prior to beginning any project, it is important to map or identify your stakeholders. This is referred to as stakeholder analysis. Key stakeholders are the individuals who use or who will be asked to use the CRM on a daily basis. It is important to have stakeholder engagement – a fancy way of saying that the people who will be impacted should be involved in and have a say in the process. This ensures stakeholder buy-in or ownership of both the process and the to-be state. Said another way, getting your key people involved in the process ensures that they understand the steps that happened between the as-is and to-be states. It also ensures that they are on-board and prepared to implement the to-be state. Having stakeholders involved will increase user adoption, and (hopefully) will get people excited about change along the way! Executive sponsorship: This is a special kind of stakeholder and is key for any project. Leadership support of the project shows all stakeholders that the change is important and ensures that the proper approvals and internal protocols are followed. Gap analysis: In management literature, gap analysis involves the comparison of actual performance with potential or desired performance. Gap analysis helps to identify the steps and tools needed to get from the current state to the desired state. For Salesforce implementations, we utilize a gap analysis to tell us where the current system may be falling short to help determine the features needed in the new, or upgraded, system. SWOT Analysis: A SWOT analysis is another way to determine the path from the current state to the desired state. This analysis identifies potential risks or issues that may arise along the way. SWOT stands for: Strength, Weakness, Opportunity, and Threat. A thorough SWOT analysis can help you to mitigate threats, strengthen weaknesses, take advantage of opportunities, and build on strengths. Assister and resister analysis: Assister and resister analysis involves studying who is in favor of a change initiative and who is resisting it. The goal is to use the results of this type of analysis to structure the change management process and leadership efforts to use the “assisters” – harnessing their energy and engagement – and minimize the impact or altering opinion of the “resistors” without alienating them in the change process. Change curve: The change curve is a visual way of understanding and representing the level of an individual or group’s confidence, morale, and roll competence throughout change cycle. For most, the curve will rise slightly, dip, rise again and then level out. Effective change management involves ensuring that the dip is as shallow and narrow as possible and that the curve levels out higher than it started. Essentially, you want to make sure that the lows aren’t too low and in the end, people generally rate the end state higher than the starting state. You may not need a fancy chart to tell you this, but keeping this curve in mind may help you understand and navigate the various stages of the change management life-cycle. Change fatigue: Change fatigue is pretty much exactly what you’d think – people are overwhelmed and exhausted by the amount or rate of change. Keep a close eye out for this one and make sure that you are not trying to change too much at once. Change fatigue can materialize as staff burnout or turnover, increase in number of resistors, or a long low point in the change curve. Hopefully these few terms will help you to unpack the jargon of change management and get started in dreaming up your “to be” state.